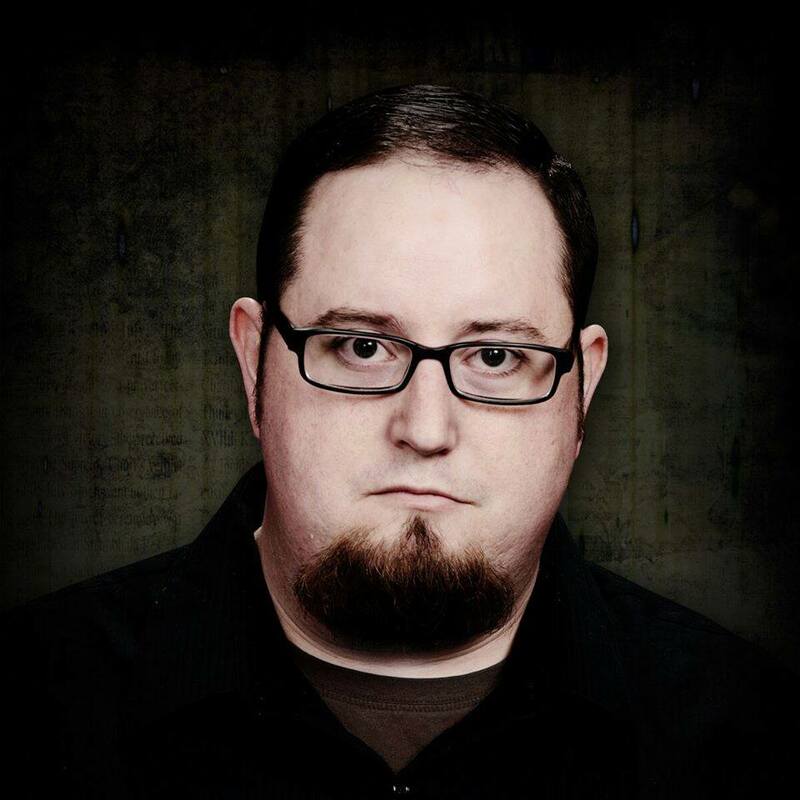 For a change of pace, I sat down with Thomas S. Flowers, author of the excellent horror novel Reinheit (Forsaken, 2015), to talk shop. Okay, technically I didn’t sit down with him, as he lives in Texas and I’m in Canada, but I had to sit down at my computer to write the questions, and I assume he was also sitting when he answered them. Unless he’s got one of those standing desks, in which case, I sat while he stood and answered the questions I provided him. The interview delves into a little of the psychology of writing as well as history, war, and what projects he’s got for us in the future. Thomas is not just a writer, but a veteran of the first conflict in Iraq, and has a Bachelor’s in History. Well-rounded? Uh, maybe a little! Q: Hey, Thomas. Thanks for joining me. Let’s start off with an easy one: what’s your favorite book, and why? A: An easy one? Jeez…hmm…okay, I can do this. Currently, my favorite book is All Quiet on the Western Front. Published in 1929 by Erich Maria Remarque, his work still remains potent. All Quiet is honestly the one book I’ve read and reread over and over, still finding new treasures and what I like to call “wisdom words.” Though All Quiet is not horror, the genre in which I write, I still find many of its aspects to be very inclined toward horror. You can sense it in the words, almost smell it in Remarque’s descriptions. All Quiet also has an interesting history, which I tend to gravitate toward. The Nazis banned the book and sent thousands to the burn pyre because it was considered to be anti-German, anti-war, anti-patriotic. If All Quiet is anti-war or not is beside the point: All Quiet ultimately is about the horrors of war. If that sounds anti-war, then so be it. Q: So what made you want to be a writer? A: I’ve been writing more or less since grade school. In fact, I submitted a poem of sorts to some magazine I have long forgotten the name of, anyways, my creative writing teacher was so excited about the news she gave me a little paper award, which I have also lost. The memory is still there, though. I also painted and did other such mediums of art, however, writing was always there. I wrote poems throughout my enlistment in the Army, wrote a number of them during my first deployment in Iraq. During my third deployment, my wife and I wrote dozens of letters to each other, of which I’d like to publish someday. After my enlistment was over, I began my college career. This reawakened that old desire of storytelling, I think. I took several creative writing courses. However, I focused almost exclusively on my course work. When I finished, I graduated with a BA in History and discovered that I had a huge pocket of energy and time that I had no idea what to do with. This is when I started writing for myself again, instead of just for course work. I had previously been involved with a homeless ministry, collecting clothing and first aid kits and journeying into downtown Houston to hand out. I took this experience and combined it with my sudden renewed itch to write creatively. My short story, “Hobo,” was born from this event. Shortly following this, I wrote “Are you hungry, dear?” and then Reinheit. So, long story short (too late? ), there wasn’t just one thing that drove me toward being a writer. It was an experience of things, propelled me toward it, shaped it, defined it. Q: I understand you’re a veteran. Did your experiences in Iraq shaped your worldview in any way? Has it informed your writing? A: Most certainly. For good or bad, take it as you will, the war lifted the veil, so to speak, on certain understandings I had. Surviving and living post-war has also shaped who I am, for better or worse. I know I am a very lucky man to have the kind of family support that I do, a net for me to fall into, for my wife especially. During my pre-veteran days, I had a kind of romantic notion regarding war, especially the Civil War, the Great War, and Vietnam even… I studied the battles, learned the names of the generals, the famous officers, and so on. I didn’t know any soldiers. I read about trench warfare, I read about Gettysburg, but the idea of those horrible battles was neither horrible nor a “battle,” it was something else entirely. Now, in my post-veteran days all those romantic ideals have long since rotted away. Maybe from an outside perspective there are still battles and famous generals being talked about. Personally, I do not care about that anymore. My perspective as a solider has rubbed away the high shine of war and allowed me to see the ugly nakedness of it. Friends getting hurt or worse, those that didn’t make it back. The long nights of wondering if that next mortar has my name on it. The even longer drives on Route Tampa or somewhere else in Baghdad… when’s the next IED going to blow? Will I make it? What if I get hit, mangled, deformed? What will happen to me then? This all may sound very depressing, and maybe it should, but that doesn’t mean there isn’t any good left in this world. In fact, I believe my experiences, and surviving my memories, have forced me into clinging to that hope that the world can be a better place, that the world is a better place, if only we could see beyond the crystalline glass of pseudospeciation, otherwise known as a ethnocentrism, except that pseudospeciation can lead toward dangerous acts of dehumanization, discrimination, and eventually violence toward anyone who doesn’t fit within one particular groups ascribe notion of racial and cultural identity. My experiences from not just the war, but surviving after the war, have shaped my understanding of the world and the inherent dangers of the “us” and “them” mentality. For better or worse, this is who I am now. Q: Reinheit deals with the atrocities of World War II with a fairly detailed eye. Were you always interested in history, or is that something you’ve grown to enjoy as an adult? A: I have always loved history; however, yes, it has also been something that has matured, or at least I should say, my discipline in studying history has matured over the years. History was also the subject of my studies in college as well. And it has worked out pretty well for writing. In Reinheit, I wanted to focus those energies toward writing something about the banality of WWII, the ordinariness of that evil that is not a singular event in history, contained within said era, but exists in the here and now. There is a bad joke that historians are some of the worst people to talk with because they can at times be insufferable know-it-alls. I’m not sure if that is true, but speaking personally, if someone wants to engage in a discussion of certain events, be sure to know that I will give my honest understanding and knowledge thereof. Q: The Queen Anne armchair appears to be a “cursed object,” or inherited evil. What was your inspiration for using this classic trope? Have you ever considered expanding on the mythology of the chair, ie. writing about its previous owners? I did not go into a lot of detail regarding the creation story of the armchair. I had some sort of myth worked out, but felt it would distract from the main theme. I’d love to go back to it, maybe delve into the past owners. The armchair certainly has a history that is quasi-mentioned in the book. Q: Your next book, Subdue, sounds like it’ll be right up my alley. Could you tell us a little about it? Is there an autobiographical element to it at all, or is it all make-believe? A: Subdue is a passion piece of mine. Semi-autobiographical. I drew a lot from my own experiences during the war and after the war. I was also reading a lot of All Quiet on the Western Front while writing it as well, so it has that sort of literary bent to it. Subdue is a thriller with a flair for science-fiction, working with strong characters and situation-driven storytelling. I hope to probe the psychological horrors of the Iraq War, and the aftereffects of war not only on returning soldiers, but also their loved ones. So, most of the characters deal in one way or another about the war. With PTSD, anger, guilt, depression, and especially suicide. And perhaps hope, as well. The main characters are five inseparable teenagers, now grownups torn apart by the war, drawn back together to try to salvage their childhood friendship. But their happy reunion is short-lived, for the idyllic home in Jotham, Texas holds secrets. And in this aspect I try to examine the dark and unimaginable horrors within the concept of the American Dream, but perhaps it is something not singularly American, but universally shared, such as the Canadian Dream, the English Dream, the Mexican Dream, the basic concept that hard work will equate to success and social mobility. Subdue is the longest work I’ve written to date. And while it deals in some pretty dark and depressing subject matter, I hope that it is also entertaining. Q: Here’s an easy one: what’s your favorite movie? What is it about this movie that speaks to you? Have you ever considered writing an homage to it? A: Easy. My favorite movie of all time is John Carpenter’s The Thing. The mood and tone of the movie is horribly fantastic. I’ve written a few reviews on the movie before, especially regarding the use of practical effects. The isolation trope was also well-executed. And the somberness with the ending was great. It’s a rare movie which I can watch over and over without getting bored. There is always something new to find, some bit of dialogue to chew on. The biological aspect of the movie reminds me very much of a Cronenberg film, which makes it even more awesome. As far as paying homage to it, I have written some of the concepts into Subdue and perhaps even “Are you hungry, dear?” but not what I’d consider a true “homage” yet. Maybe someday. At this time though, I feel pulled toward the classic tropes of horror, re-imagining the myths of Frankenstein, werewolves, witches, and vampires, that kind of thing. Thomas S. Flowers is the author of several character driven stories of terror. He grew up in the small town of Vinton, Virginia, but in 2001, left home to enlist in the U.S. Army. Following his third tour in Iraq, Thomas moved to Houston, Texas where he now lives with his beautiful bride and amazing daughter. Thomas attended night school, with a focus on creative writing and history. In 2014, he graduated with a Bachelor of Arts in History from UHCL. Thomas blogs at machinemean.org where he reviews movies, books, and other horror related topics. 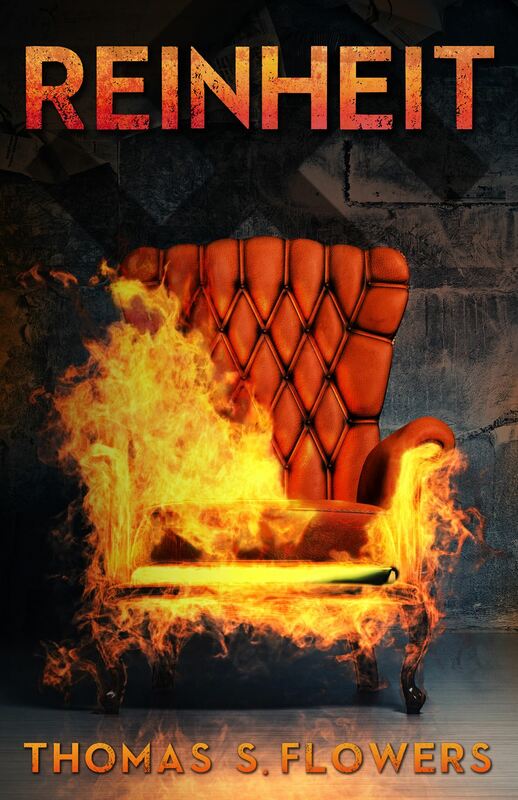 Reinheit (Forsaken edition, 2015) synopsis: Rebecca Moss never questioned the purchase of the strange seductive armchair. She wanted to please Frank. But the armchair has a dark purpose. Nazi officer Major Eric Schröder believed fervently in Hitler’s vision of purity. Now the chair has passed to Frank, an abusive thug who has his own twisted understanding of patriotism. There are those who want to destroy the armchair, to end its curse. But can the armchair be stopped before it completes its work? You can purchase a copy Reinheit at Amazon.